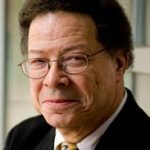 In 1980, Dr. Levi Watkins, an accomplished cardiothoracic surgeon and social activist at Johns Hopkins made medical history by working with innovative physicians and engineers to implant the first automated internal cardiac defibrillator in a human-being. The courage to lead innovation and the desire to acquire skills necessary to impact the well-being of our patients required unparalleled drive and commitment. Dr. Watkins was familiar with firsts in his career as the first African American medical student and graduate at Vanderbilt, the first resident of color in the Johns Hopkins residency program and the first under-represented minority cardiac surgery faculty member at Johns Hopkins. Dr. Watkins was the beneficiary of extraordinary, specialized training at Johns Hopkins and Harvard Medical Schools where he completed important translational research in heart failure. These ground-breaking contributions could not have been successful without resources dedicated to the mission of academic excellence and inclusion in medicine and surgery. The Thoracic Surgery Foundation (TSF) was founded to foster the development of surgeon scientists in cardiothoracic surgery. Critical to the success of these initiatives is the understanding that in order to achieve these goals additional support may be necessary for those who endeavor to develop innovative therapies and technology in the specialty of cardiothoracic surgery. The “Watkins Scholar” would be selected in honor of Dr. Watkins legacy and his strong personal tenets and character in mind. This Watkins scholarship will provide a training and/or development grant to support travel to a center of excellence to acquire additional clinical, translational or leadership training to enhance skills and practice in an area of innovation or surgical significance. This highly prestigious and sought after scholarship will be awarded to a deserving young surgeon committed to the vision of innovative and collaborative cardiovascular care that Dr. Watkins helped pioneer. The successful applicant will have a record of excellence in training and academic achievement. The award applicant will have secured an arrangement with the host institution and sponsor capable of providing the training. The participating institution should have a strong program with a supportive sponsor experienced in innovative techniques and therapies in cardiothoracic surgery. Funding: Awards of $5,000 for up to two weeks will be granted to support the work of a cardiothoracic surgeon for this scholarship. This award is intended to defray the travel and lodging expenses. Eligibility: Cardiothoracic surgeons who are within ten years of first faculty appointment, and who are certified or eligible for certification by the American Board of Thoracic Surgery (ABTS) or its equivalent outside the United States. The scholarship will be open to all applicants with particular consideration to the merits of candidates, the strength and achievability of the proposal and demonstration of a record of overcoming social and personal hurdles in the early stages of career development as surgeons.